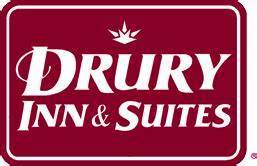 Welcome to the Drury Inn & Suites official reservation site for the WMS and YPD Quadrennial Convention 2019. Rooms at Drury Inn & Suites Columbus Convention Center for 2019's Quadrennial Convention are available for Districts 14 - 20 only. For questions or assistance in making a reservation at the Drury Inn & Suites please email us at quad2019@arrowhead.freshdesk.com. In most cases you will receive a prompt response; however please allow up to 24 hours for a reply Monday-Friday and 48 hours for a reply during weekends and holidays. Please DO NOT call the Drury directly to book a room they will not receive call in reservations for Quadrennial rooms. Rates listed will apply to rooms booked three days before or after Quadrennial event dates so long as rooms are available. Prior to June 25, 2019 all cancellations must be done here on this site directly by login back to your reservation record using your email address as previously done when making your initial reservation. The site will then send you an email giving you access back into your reservation record where you can cancel your reservation if need be. You may also send an email to quad2019@arrowhead.freshdesk.com at any time and a representative will cancel your reservation on your behalf and email you a cancellation confirmation. Beginning June 26 - July 10 2019 No changes can be made to reservations. Beginning July 11, 2019 all reservation cancellations must be made by calling the hotel directly at least 72 hours prior to your check-in date or the hotel will charge a penalty fee of one night's room and tax for failing to cancel on time. Hotel phone numbers will be posted to the site on or before July 11, 2019. Check to access a previous reservation.